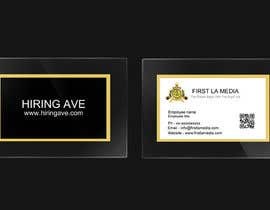 Design some Business Cards and get hire for more tasks ! 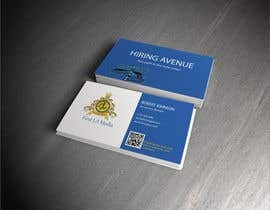 I need some business cards designed. I'm looking for a high-end design that design something simple yet elegant, conservative and professional.I really want something that stands out and makes people look at it.. I want contact information no address . 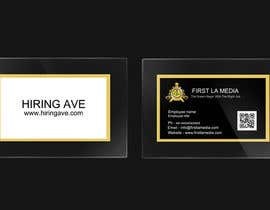 I'd like the design to be two [login to view URL] side for our First La [login to view URL] ( Which we have a logo for it ) and another side for our new recruiting company " Hiring Ave.
Few example are attached ,Feel free to used layered designs or foil to enhance the look and feel. The company is [login to view URL] and we are specialize in staffing for Financial Services Industry ,Legal industry , Medical industry , IT industry and Real Estate . 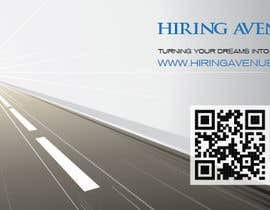 We also do : Career counseling , Career Coaching , Job searching , Resumes Development , Interview Setting and salary Negotiation . 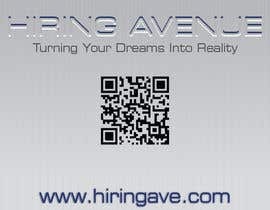 We are recently working on both of our websites and there are similar to [login to view URL] and careerbuilder.com. 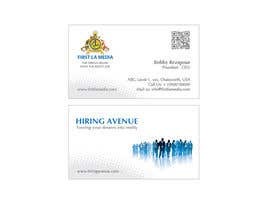 I like to know what you can design and if you win this contest , I will hire you on hourly rate for more tasks. 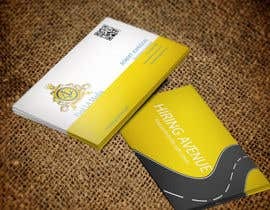 We need few banners for our website, 2 sides flyer ,letterhead , fan page materials and of course help with our website . I'm looking for the best . Please take a look at #15 and comment. If possible do upload a higher resolution First LA Media Logo for us to work with. Current logo is too low resolution for print. 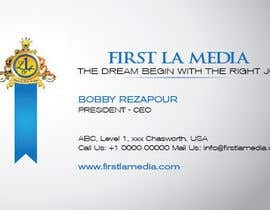 Hi, can you upload the logo of First La Media.INC (in high def. if possible) ? Thanks.